Our staff is hired based on their experience and training working with children. They are responsible to uphold our policy and procedures through on the job training, information handouts and professional development opportunities. They are required to complete the Child Development Assistant program through the government of Alberta as a minimum requirement. They also must have a police check completed with the vulnerable sector component. They are also required to complete a child care first aid course with CPR. In 1984 the Out of School program was started on a 3 month trial basis at the request of some parents from Varsity Acres Elementary School and under the advice of City Parks and Recreation. They started out with 9 children from 3:00pm – 5:30pm. The area designated to operate the program was used as change rooms and a concession. The skating arena outside was where children came for organized hockey. In 1985 they built the Crowchild Twin Arenas. The area was now available for the Out of School program to operate. The program expanded to offering care on Teachers Convention, professional days and eventually to a full summer program. The licensed capacity grew to 54 and many years later expanded to 84. In 2007 the garage and locker area were renovated to give us Classroom Three. We have grown to be one of the largest Out of School Care Programs in the city. To support and strengthen family life by sharing in the care and nurturing of school age children. To provide programs that enhance the quality of each child’s life through sensitivity to individual needs with recreationally based programs. Our staff contributes to the delivery of quality programming and encourage opportunities for individual development. We strive to offer a high quality child based program through quality programming. We believe that school age childcare should be designed and implemented around the premise that each child is accepted as an individual. We provide a range of inclusive activities and opportunities for children 4.5 – 12 yrs. We include children with special needs and any developmental disabilities. Modifications to the activities would be encouraged to allow for total participation by all children. The children shall be encouraged to contribute to the planning of day-to-day activities. On a daily basis they shall be encouraged to give their input as to the activities in their designated room. Our routines and activities are flexible to maximize the benefits of participation for each child: activities are presented in such a way as to invite the child into play. We provide a safe environment that recognizes all aspects of diversity, ability, age, appearance, belief, class, culture, family composition and gender. This is accomplished by child-directed, age-appropriate activities that encourage the development of self-sufficiency, self-esteem, self-discipline and co-operation in a semi-structured environment. We offer many opportunities for arts and crafts, co-operative and interactive games, free play, imaginative play, large and small scale games, music/art programs, special events, indoor/outdoor play and much more. Our programming reflects the goals and philosophy of the program as well as the diverse needs, abilities, strengths and interests of the children. Children are involved in the programming which teach a value of working together as a team and listening to other people ideas. Programming is varied and stimulating to give children the opportunity to pursue new interests and to develop an awareness of new activities. (NEW) We believe that children should be able to express their own individuality, as well as acknowledge their personal cultural beliefs. Programming is implemented daily but also allows for flexibility of spontaneous teachable moments. To create a safe environment that recognize all aspects of diversity, ability, age, appearance, belief, class, culture, family composition and gender. To be a child care provider that implements genuine care, respect and courtesy for children, parents and each other. To be premiere provider of child care, while meeting the needs of the children, parents, schools and communities we serve. To enhance and enrich the lives of children as they become young adults while working as a team toward common goals. Our focus is to provide a stimulating child care facility which promotes each child’s social, emotional, physical and cognitive development. Provides a safe, stimulating environment for school-age children awhile their parents are at work. Eliminates the possibility of children leaving from or going home to an empty house because their parents have to be at work/school. Offers a recreation-based program that is child-directed, age-appropriate and full of activities that encourage the development of self-sufficiency, self-esteem, self-discipline and co-operation in a semi-structured supervised environment. 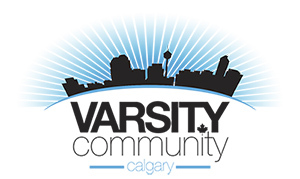 It is recognized as one of Calgary’s leading programs. Our ethical responsibility to the children in our program is to recognize the uniqueness of each child and to provide both a nurturing and welcoming environment where children can expand and develop their social, emotional, physical and cognitive competencies. Our responsibilities to the families are to continue to build positive relationships to help facilitate the growth and development of each child. We recognize that families are the primary influence. We would like to enhance the opportunities for success for each child’s development. Our responsibility to our colleagues is to create a work place that supports a caring and co-operative environment based on core values of honesty, integrity and respect. Our responsibility to both our community and society is to encourage and support high quality staff and the opportunities that they are providing for the children in our care. We continue to collaborate with other agencies and advocate for the protection and welfare of our children.